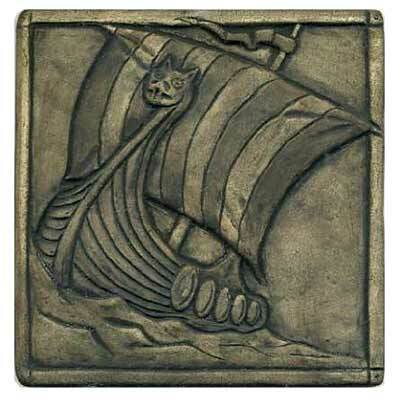 The Viking Ship is a 6" square tile, carved in relief with a raised border. This design is available in any single stain or glaze or a multi-color option. 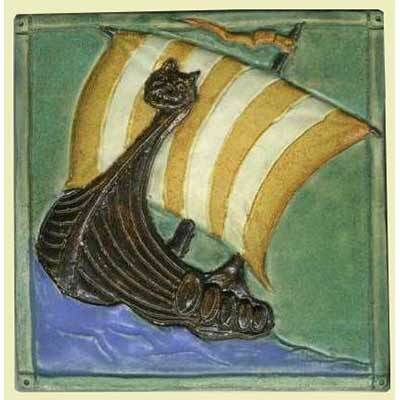 Colors shown: aqua background with blue water, pharsalia and white sails; brown-black stain.